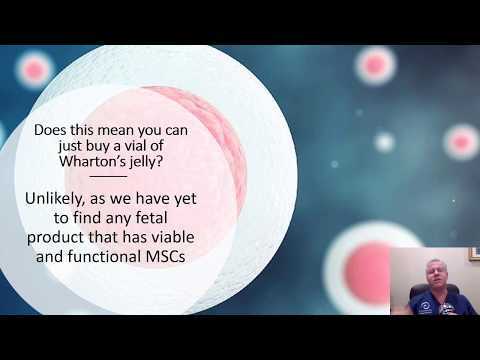 Home / Blog / Does Cord Blood Have Mesenchymal Stem Cells? What about the process where youn own blood is used and is injected into your knee. "An important issue in cellular therapy studies is the availability of alternative stem cell sources and the efficacy of isolation techniques to yield a reasonable amount of viable cells that could be successfully expanded. Despite the advantages of HSC from UCB in hematopoietic reconstitution [13, –15], results from the present study demonstrated that UC, and not UCB, is the best choice for isolating MSCs for future applications. Until very recently, BM has been considered the main source of MSCs. Panepucci et al. demonstrated that MSCs derived from UC and BM are highly similar at the transcriptional level, reinforcing the usefulness of UC from neonates . In short, based on the present results and other studies, we believe that UC is the easiest obtainable biological source of MSCs. You're confusing culture expansion studies with a fresh prep. Meaning, these studies show a failure of MSC CULTURE from umbilical cords about 8-9 times out of 10. For comparison, 99% of bone marrow from an adult will form colonies in culture and expand to bigger numbers. In the 1-2 cords out of 10 that do yield MSCs, this is a tiny number that over weeks can be grown to a clinically relevant number. Hence, if you're culturing cells (which is illegal for clinical use in the US), you can find some MSCs in a very few cords and grow them to bigger numbers. If you're using either cord blood or bone marrow fresh (i.e. no culture expansion), then there's going to be a high chance that the cord blood sample contains no measurable MSCs while almost all adult bone marrow will contain a clinically usable number of MSCs.